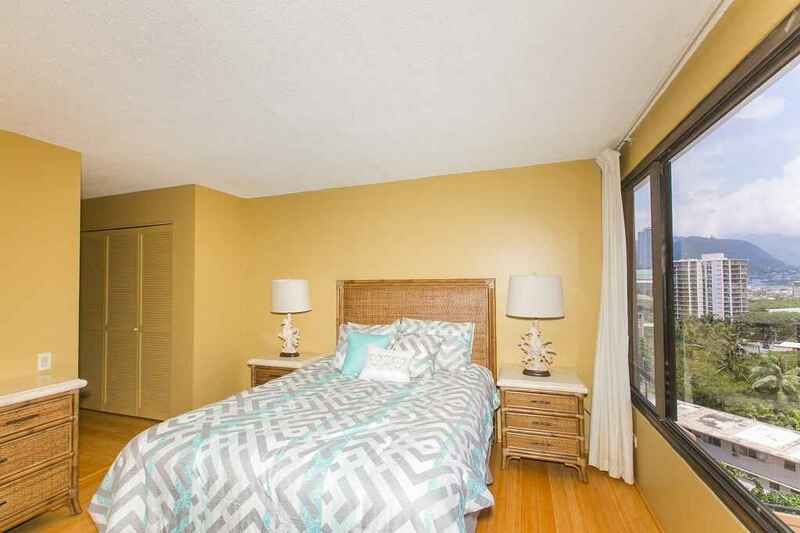 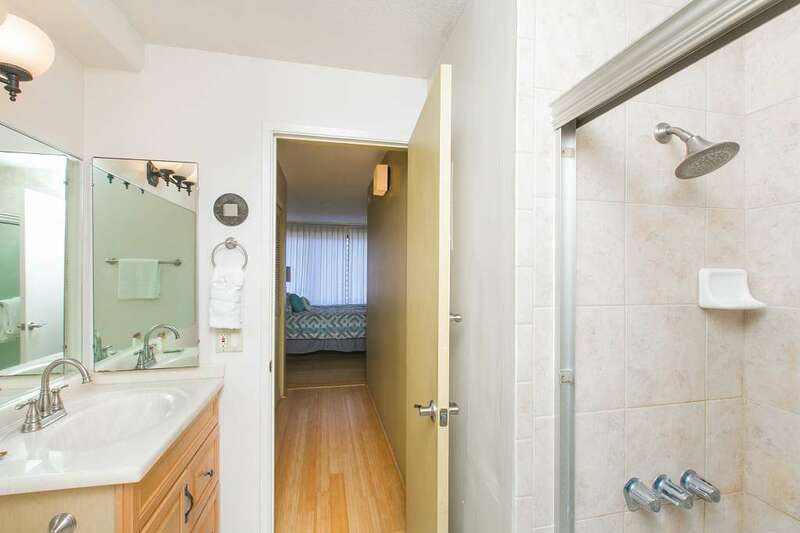 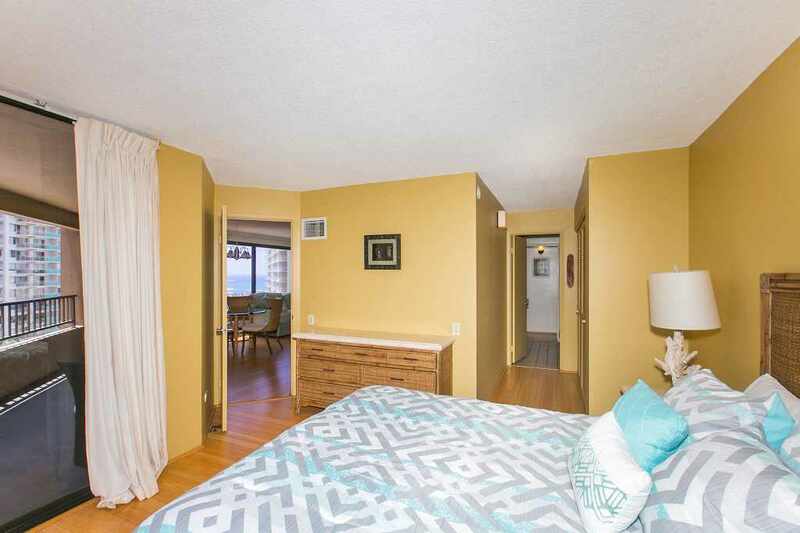 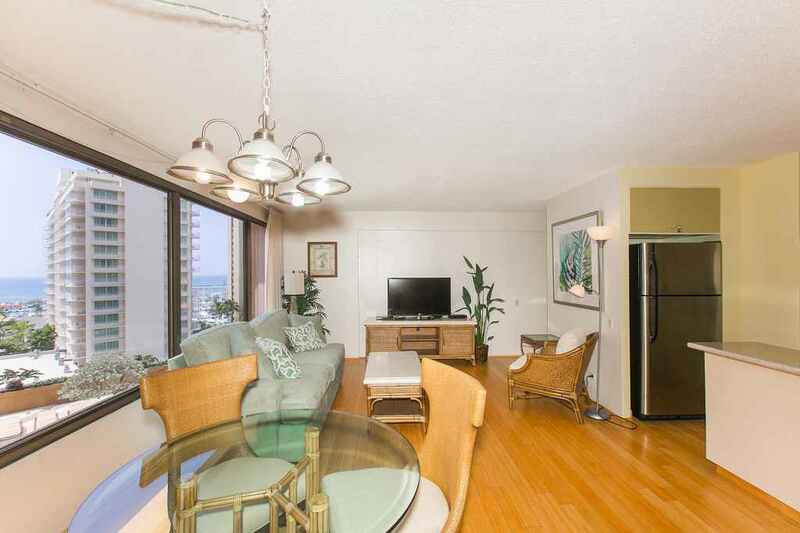 Perfect Waikiki Location, Right Near The Beach! 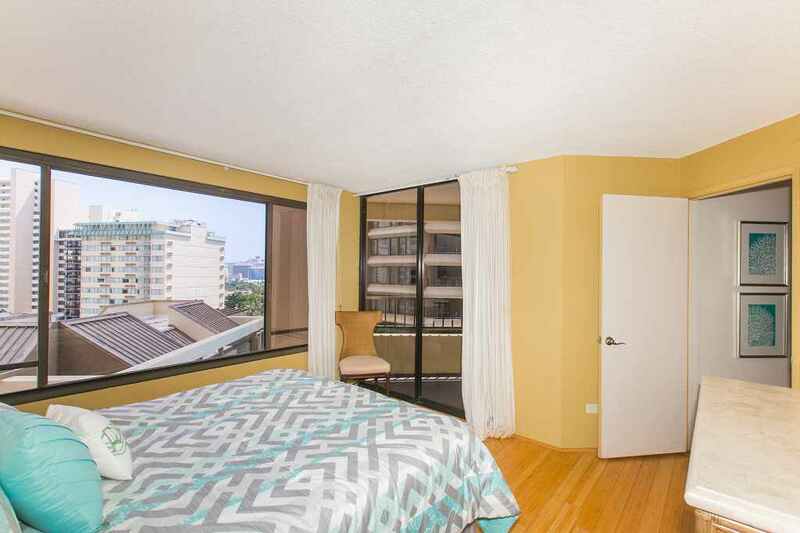 1 Bedroom Standard Ocean View on the 13th Floor! 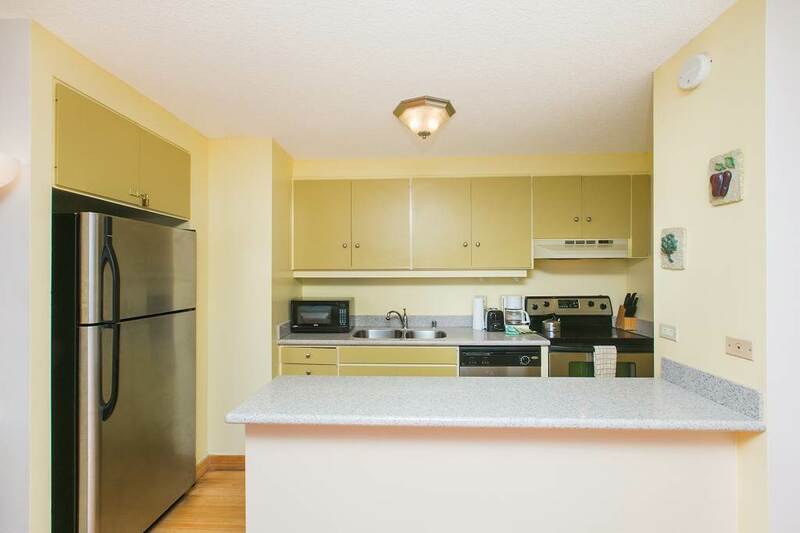 Fully equipped and furnished condo with complete kitchen with dishwasher, built-in microwave, central A/C, and washer/dryer. 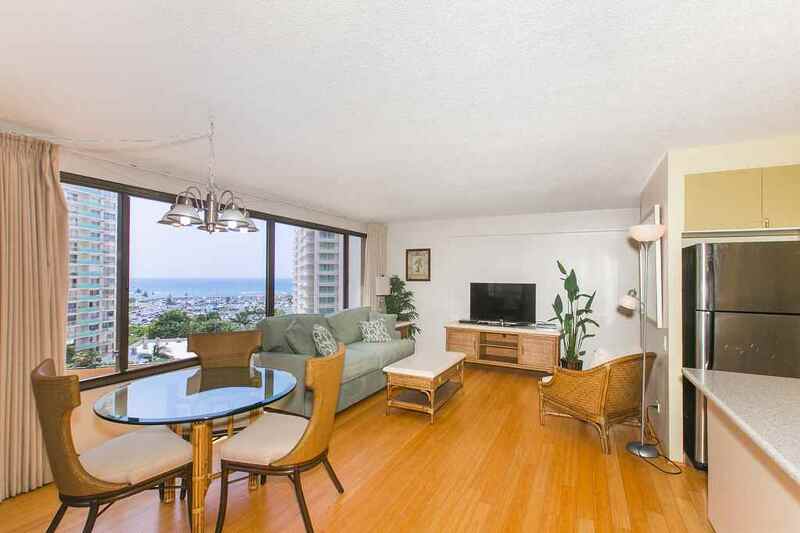 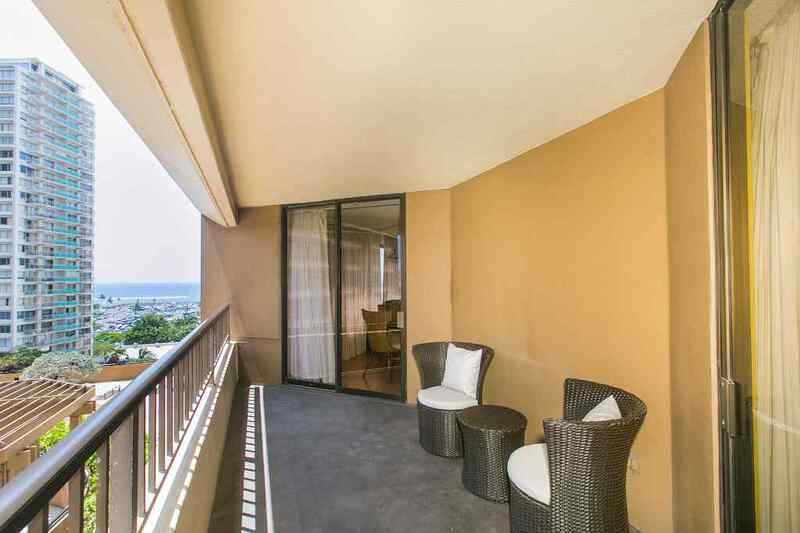 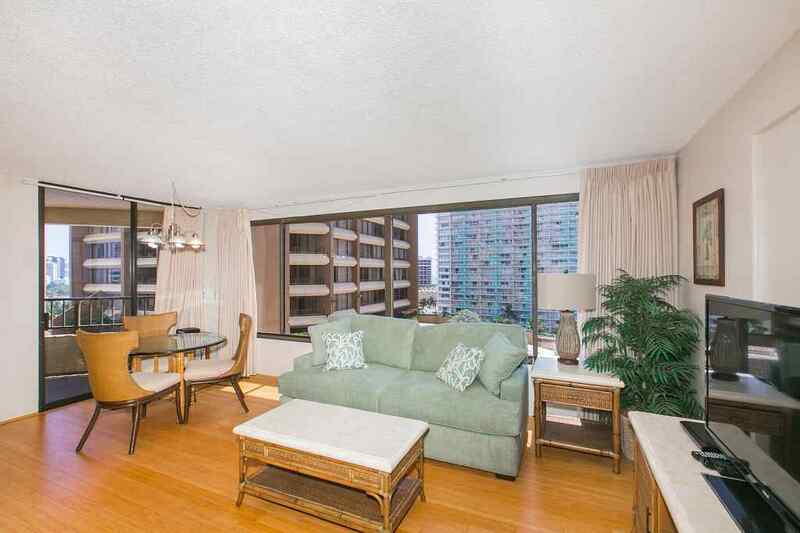 The condo has a spacious lanai to lounge and enjoy the bustling city & ocean views. 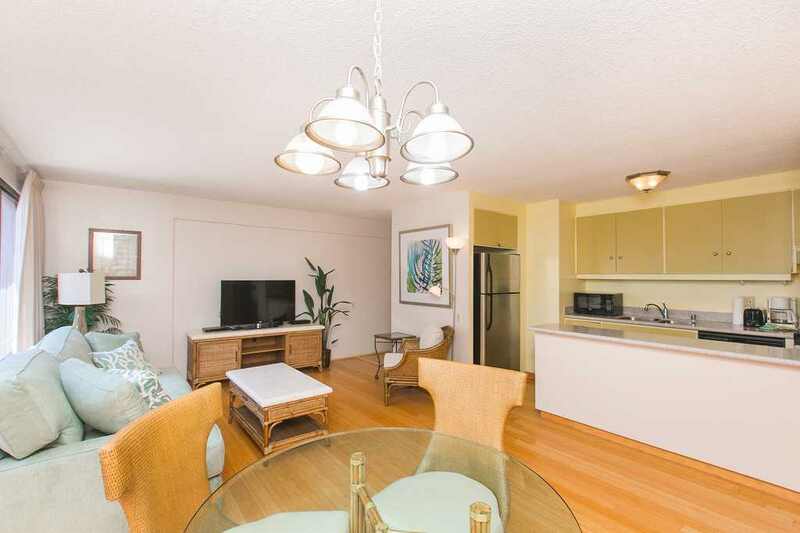 Discovery Bay amenities include a pool, hot tub, gym, spa, and gas-grill/picnic area. 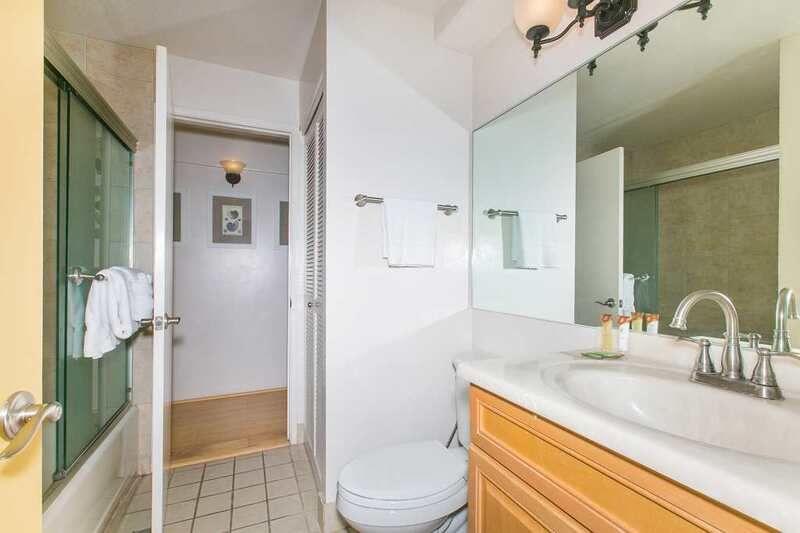 For your convenience, the rental comes with 1-assigned parking stall. 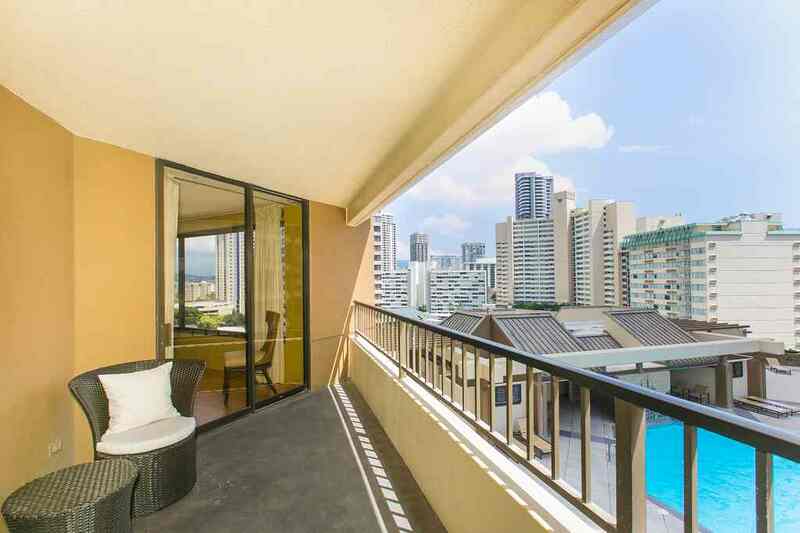 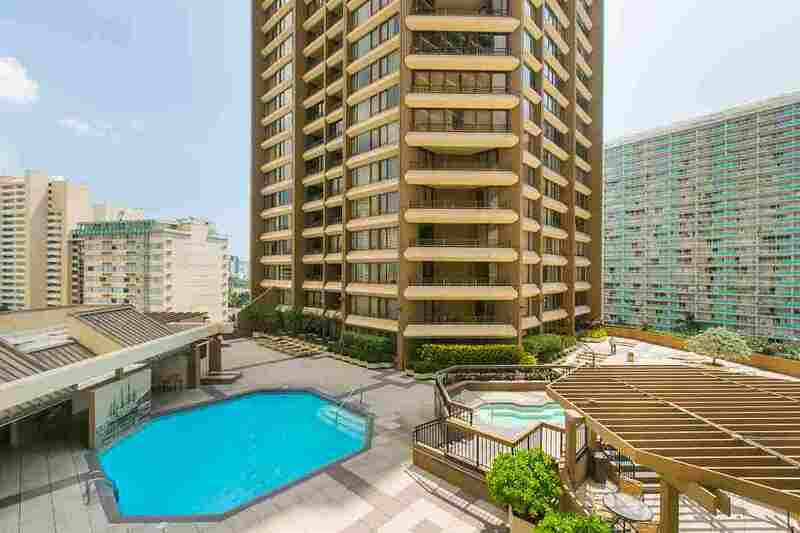 Walking distance to Ala Moana Shopping Center and a block from full service grocery, make it an excellent location to both Ala Moana and Waikiki! 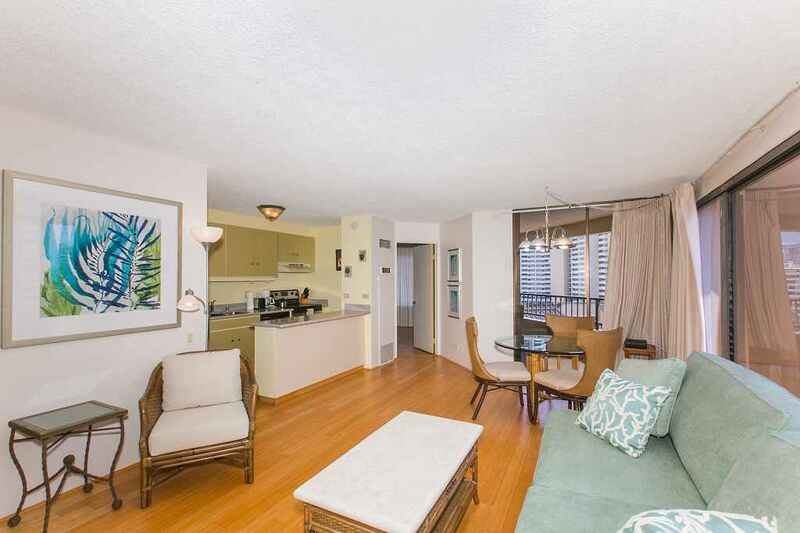 The Hilton Hawaiian Village lagoon and beach are a quick walk across the street! 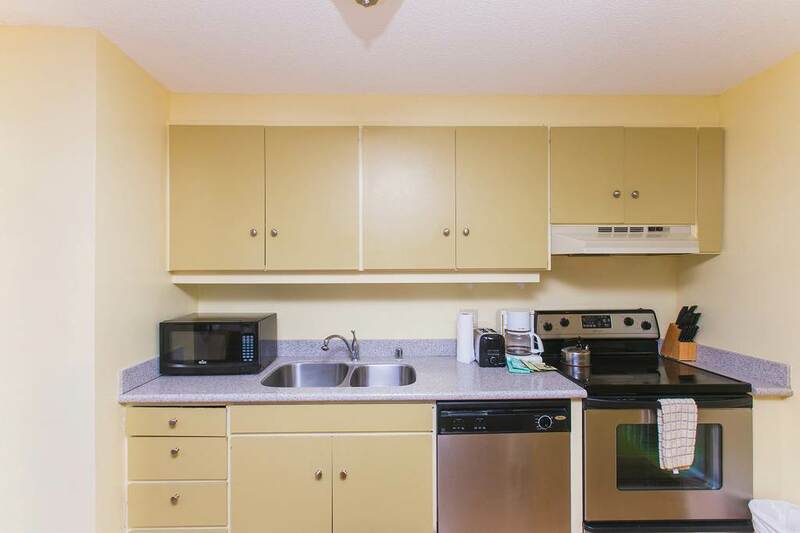 Located within the building is a Coffee Shop, Subway, McDonald's, Aloha Sushi, Indian Restaurant, Buffalo Wild Wings Sports Bar, as well as several restaurants and boutiques.